John Wes Townley will drive a truck for Wauters Motorsports in 2014. Townley, a native of Watkinsville, Ga., will continue his relationship with Toyota in trucks owned by Richie Wauters with engines to be supplied by Joe Gibbs Racing during the upcoming season. Townley is among the drivers who will participate in the ARCA test at Daytona International Speedway this weekend. He is slated to turn laps in a Toyota owned by Venturini Motorsports. 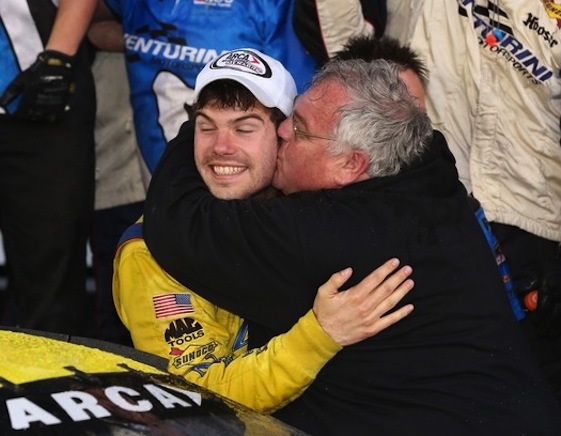 Townley has inked a one-race deal to drive for Venturini in the ARCA season opener at Daytona in February. He is the defending champion of the 200-mile event. Michael Waltrip Racing announced that Billy Scott will serve as Brian Vickers’ crew chief on the No. 55 Aaron’s Dream Machine Toyota in the 2014 Sprint Cup season.